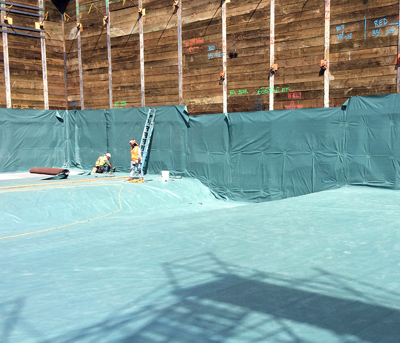 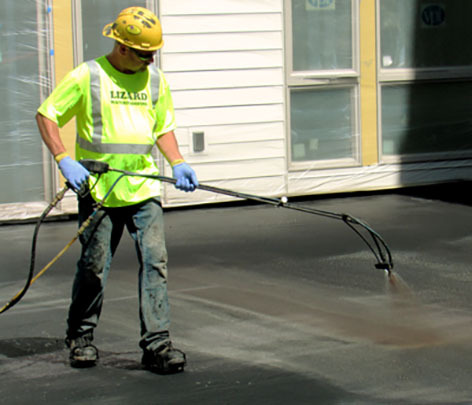 E.Protect+ - Features a thermoplastic HDPE base course, a geocomposite bentonite protection sheet, and a minimum of 100 mils of polymer-modified asphalt. 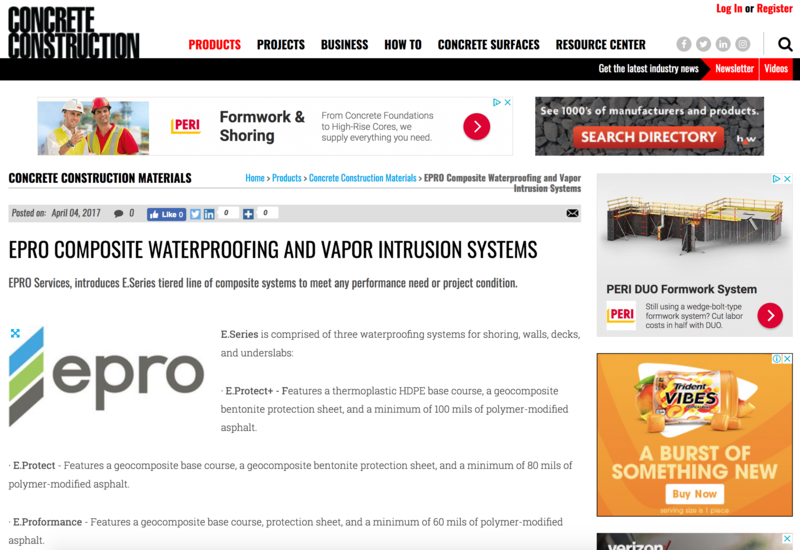 E.Protect - Features a geocomposite base course, a geocomposite bentonite protection sheet, and a minimum of 80 mils of polymer-modified asphalt. 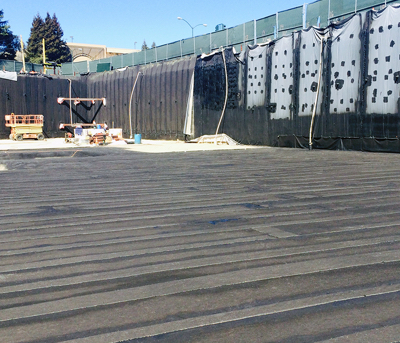 E.Proformance - Features a geocomposite base course, protection sheet, and a minimum of 60 mils of polymer-modified asphalt.